Vishtèn and the The East Pointers each won three times at P.E.I. Music Awards on Sunday in Charlottetown. Vishtèn took home francophone artist, group recording and roots traditional recording awards. The East Pointers won for digital achievement, entertainer of the year and touring. Double award winners included Dennis Ellsworth, Meaghan Blanchard and Rachel Beck. Jon Matthews won producer of the year and his studio, The Sound Mill, won studio of the year. The SOCAN Songwriter of the Year Award was presented to Ellsworth on Jan. 24 at the SOCAN Songwriter of the Year concert. Achievement in Classical or Jazz Music Award: Atlantic String Machine. Album of the Year: Meaghan Blanchard – The Great Escape. Country Recording of the Year: Lawrence Maxwell – Not Your Outlaw. Cover Band/Artist of the Year: Danny Drouin. Digital Achievement of the Year: The East Pointers. Electronic Single Recording of the Year: Russell Louder – Showdown. Entertainer of the Year: The East Pointers. 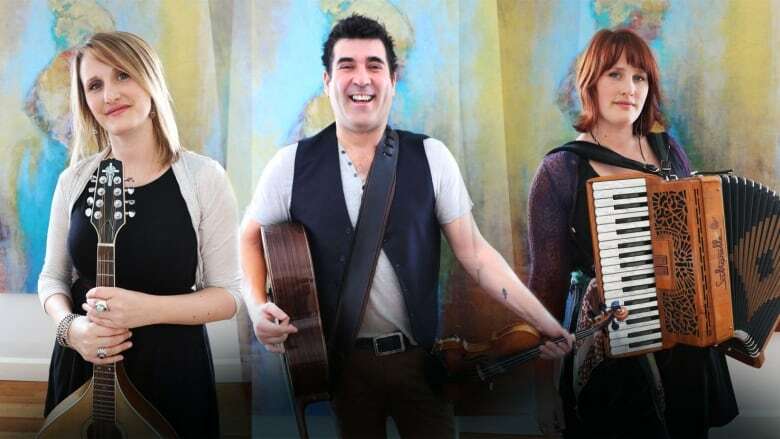 Event of the Year: PEI Mutual Festival of Small Halls. Francophone Artist of the Year: Vishtèn. Group Recording of the Year: Vishtèn – Horizons. Live Music Programmer of the Year: Pat Deighan. Musician of the Year: Evan McCosham. New Artist of the Year: Rachel Beck. Pop Recording of the Year: Rachel Beck – Rachel Beck. Producer of the Year: Jon Matthews. Recording Studio of the Year: The Sound Mill Recording Studio. Rock/Loud Recording of the Year: Andrew Waite – Tremors. Roots Contemporary Recording of the Year: Meaghan Blanchard – The Great Escape. Roots Traditional Recording of the Year: Vishtèn – Horizons. SOCAN Songwriter of the Year: Dennis Ellsworth – She's Never Wrong. Solo Recording of the Year: Dylan Menzie – As the Clock Re-Winds. Song of the Year: Dennis Ellsworth – She's Never Wrong. Touring Artist of the Year: The East Pointers. Urban Recording of the Year: Vince The Messenger – Self Sabotage. SOCAN Venue of the Year: Trailside Music Café & Inn. Video of the Year: Kinley – Golden Days (Director, Jenna MacMillan). Visual Artist of the Year: Brendan Henry. Community Contributor of the Year: Phase II. Educator of the Year: Christine Blanchard. Industry Person of the Year: Debbie Atkinson. Live Music Production Professional of the Year: Chris Knox. Rooted to the Island: Tracy Cantin. Volunteer of the Year: Mary Lee Little.